Visual artist Ine Lamers (Wijchen, 1954) takes centre stage in the ninth solo exhibition at Club Solo. Her exhibition will coincide with BredaPhoto International Photo Festival, which Club Solo will also be participating in as a programme partner. Ine Lamers works with photography, film, and text. Natural and urban space is as much a workfloor to her as a scene. The human condition and urban surroundings are two core themes in her work. What (utopian) ideas are city plans founded upon? How do people find their place in the city? In her Club Solo exhibition, Lamers will be showing three projects spanning a development in her work over the course of several years: Collision (London, 1997) and the loose-leaf book London Matters (1998), work from the series Untitled (Rotterdam, 1994 – 1995) and the installation Werktitel: Proyekt Z (2010 – present). 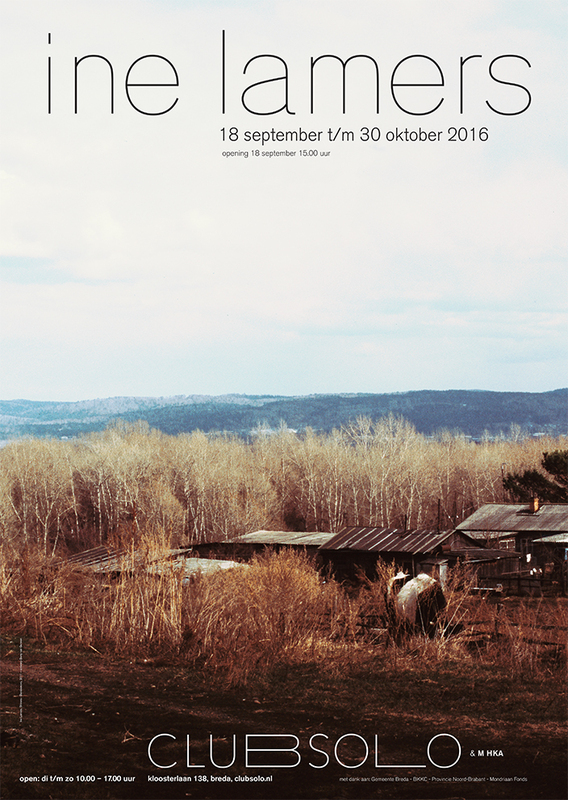 In response to Ine Lamers’ work, M HKA has chosen to exhibit a photo series by artist Sergey Bratkov (Kharkiv, Ukraine, 1960). On Tuesday 27 September, the film Werckmeister Harmonies (2000) by Bela Tarr will be shown. This film is an important source of inspiration for Ine Lamers, who will give an introductory speech.